Bronwich has been assigned to keep tabs Apple's operations following an antitrust lawsuit won against the company by the U.S. government. And while Apple and Bromwich have not seen eye to eye from the start, in recent months the relationship has worsened, he said in a report to Judge Denis Cote, as noted by Reuters. Bromwich told the judge that Apple has taken a more "adversarial tone" in recent discussions. In addition, he said that no interviews have been conducted since January, since Apple has rejected his requests. The U.S. government's ruling saddled Apple with an injunction that bars it from entering into any unsavory deals with publishers, and as antitrust monitor, Bromwich's job is to ensure that Apple follows those restrictions. 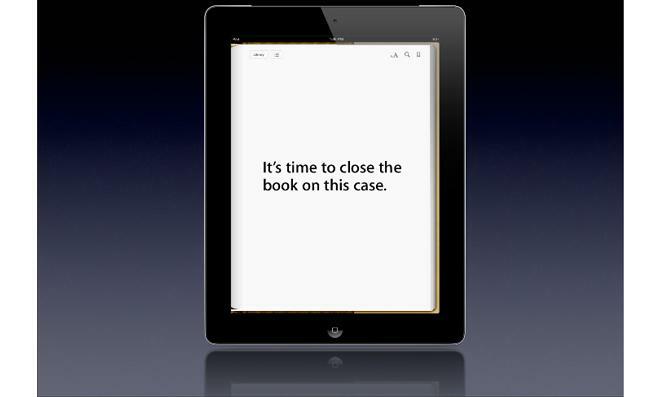 Apple officials have said they continue to fight the case out of principle, because the company insists that no illegal collusion took place between itself and book publishers. At the time of the iBookstore's launch, Amazon accounted for nine out of every ten e-book sales, and titles were sold under the "wholesale model." In that model, resellers such as Amazon had the power to set prices, selling titles at or below costs if they chose to do so. Under negotiations led by Eddy Cue, Apple and book publishers opted to switch to a so-called "agency" pricing model. This prevented content owners from being able to sell the same titles at a lower price elsewhere, without offering the same price on Apple's iBooks platform —a "most favored nations" clause. Apple has argued that publishers openly discussed their desire to raise prices on books, as they felt titles were being sold for too little by Amazon under the wholesale model. Tensions between Bromwich and Apple have been so high that the company officially request to have him removed. Its efforts were shot down by an appellate court, which found that the company failed to provide evidence of irreparable harm. Last April, Bromwich suggested matters had improved, telling the court that relations between himself and Apple were better off.